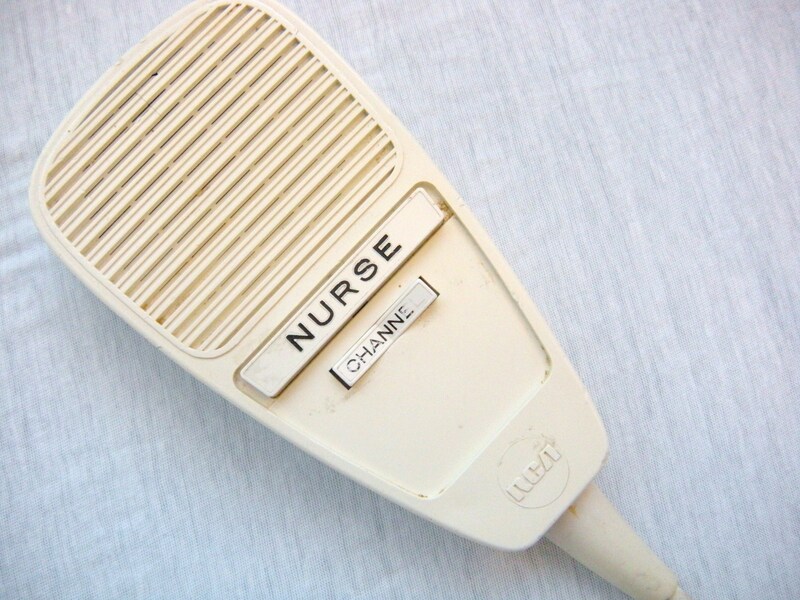 In this last photograph in the call light triptych the icon is gone, and replaced with the word nurse. Changing from pictograph to language makes clear who the patient requests when pushing the button. Recently, a vendor promoting a product his company sold visited the nurses in our department. All of us wore white lab coats over our street clothes. One of us was a man-nurse. The vendor was younger than forty. After his demonstration, he addressed our man-nurse as a pharmacist. We corrected him. He blushed while apologizing. We forgave him. Is the word nurse genderless in our post-feminist generation? Not all nurses are women. This entry was posted in Not All Nurses are Women and tagged art, art about nurses, art of nursing, call lights, gender, icons, identity, media depiction of nurses, pictographs. Bookmark the permalink.